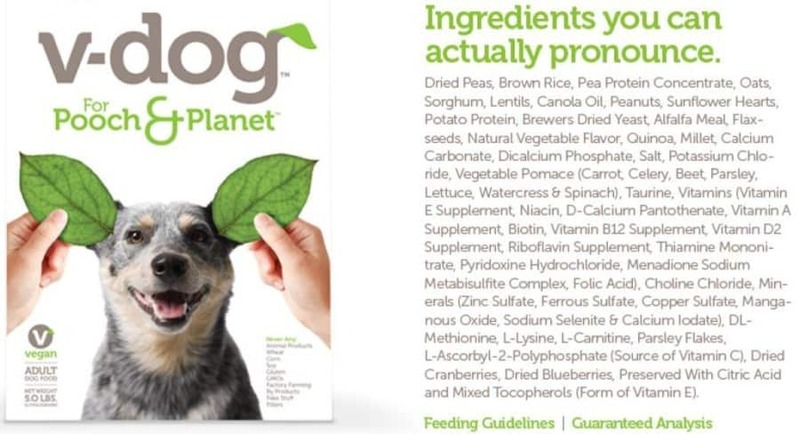 Most people, vegans included, don’t realize that you can feed your pets vegan food and that it’s actually the best thing for their health, for the environment, and, obviously, for the animals that are ingredients in standard pet foods. Mainstream pet food contains a bunch of scary stuff, including road kill, spoiled meats, styrofoam, euthanized pets, and more. And the animal products industry is the most environmentally devastating force on the planet. So what is a vegan with a doggie companion to do? 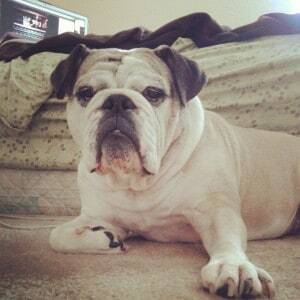 Well, my bulldog Ooby is vegan and she eats a food called, simply enough, V-Dog. V-Dog was kind enough to provide us with a free sample for Ooby to officially review. It is the only fully vegan dog food company in existence. Their food is made with pronounceable, human-grade ingredients and the bag is fully compostable! (One of my favorite features). And for those of you who have allergy concerns, Ooby is basically allergic to life. She has 25 known allergies and is even allergic to her own allergic reaction. So you’ll understand that I’m pretty picky about what she eats. When ooby first transitioned to V-Dog after being on a prescription hypoallergenic diet that caused her to lose her hair, all her hair grew back and her allergies became more manageable. She has been in better health since going vegan than she ever was before. sSnce she’s so sensitive, I use her kibble as treats too, which she doesn’t seem to mind. She will go after that thing for hours. If you don’t want to feed your dog kibble, you can always make your own vegan dog food. There are countless recipes and you can play around with it until you find what works for you and your pooch. But if you’re pressed for time and cullinarily challenged like me, V-Dog is the way to go! Now, to get your 15% off: I’ll be sending the promo code out to members of the nugget newsletter later today and it will be active for about 4 weeks. If you’re not on the newsletter, don’t fret. You can sign up for free in the bar at the top of the page or the foot of this post! And you won’t be spammed cause spam ain’t vegan. Not only will you get the discount code, but you’ll also get the free ebook that is coming out soon, and other exclusives like behind the scenes footage with Gary Yourosfky from our upcoming interview series, and other fun stuff. 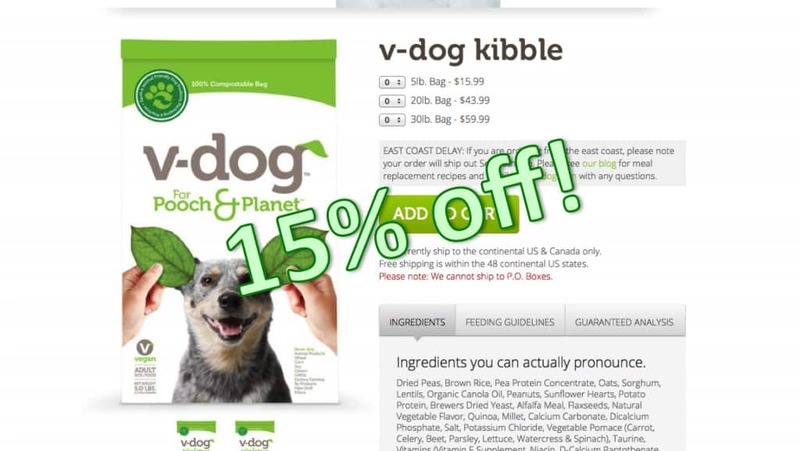 And if you want to buys some V-Dog yummies and support Bite Size Vegan a little too, you can now shop for V-Dog through the link in the sidebar or on the shop page. But of course you can also purchase directly from their site. Honestly, as long as your pup is chowing some vegan eats, I’m all for it! In summary, Ooby and I love V-Dog! she’s been so much healthier since going vegan and now her meals don’t have to come at the cost of other animals lives and the destruction of the environment. 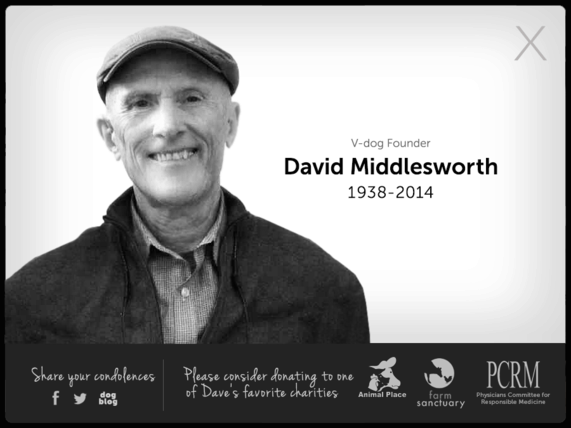 and i love that V-Dog is not only a high-quality vegan dog food I can trust, but also a company run by caring, contentious individuals with genuine concern for the well-being of all animals, the planet, and, of course, your pooch! For an in-depth look into just what is in pet food and why exactly your pets should go vegan, read this post. ➢ Can Pets Be Vegan? What's Really in Pet Food?